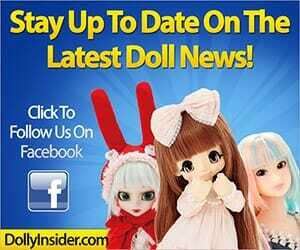 You are here: Home / Groove Inc / Pullip Stica Doll: Is It Time for Tea? 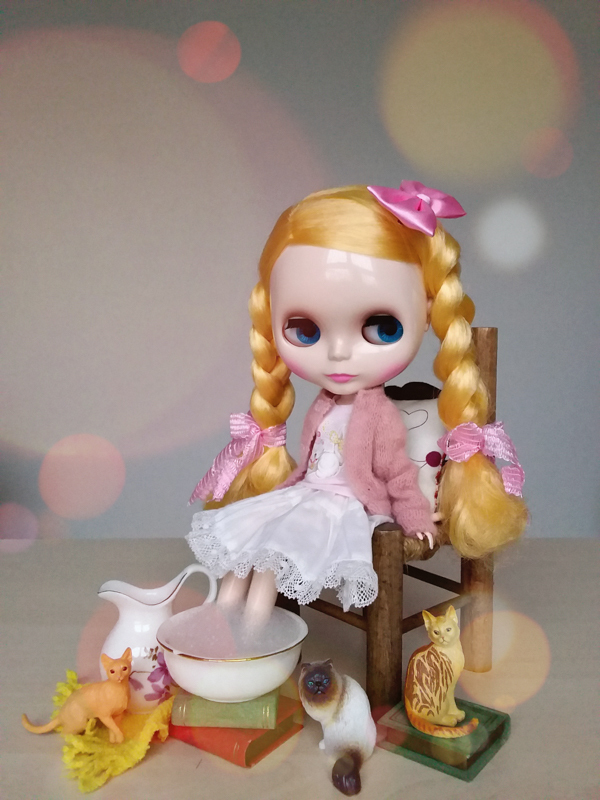 Pullip Stica Doll: Is It Time for Tea? What could Pullip Stica be serving up today? Is it coffee, tea or perhaps a little trouble? She certainly looks darling in her maid uniform; however for this doll even a maid uniform has style. Her dark blond curly hair is pulled into two side ponytails. Perched on top of her head is a white lace maid hat, with black satin ribbon as accent. Each side of the hat has a tiny black satin bow, slightly noticeable under her thick curls. She has a sweet expression that carries through to her big brown eyes. Her eyes can move in a number of directions, left, right, up and down. Looking to see what trouble she can serve up next, perhaps? The bodice of her uniform is pleated with a black ribbon bow at the collar. Two rows of white lace detail each side of the bodice. Her sleeves are black with two large white cuffs. Both cuffs are clasped together with a large black cufflink. Her black skirt is full with a large number of pleats to add fullness. A white crinoline adds to the puffiness of the skirt. Covering the front of the skirt is a large white apron, which is detailed with a white lace border and two black bows of ribbon at the bottom corners of the apron. Covering her legs is a pair of traditional white leggings. Since standing on her feet can be hard without the proper shoes, she is wearing a pair of comfortable yet stylish pair of Mary Jane’s. 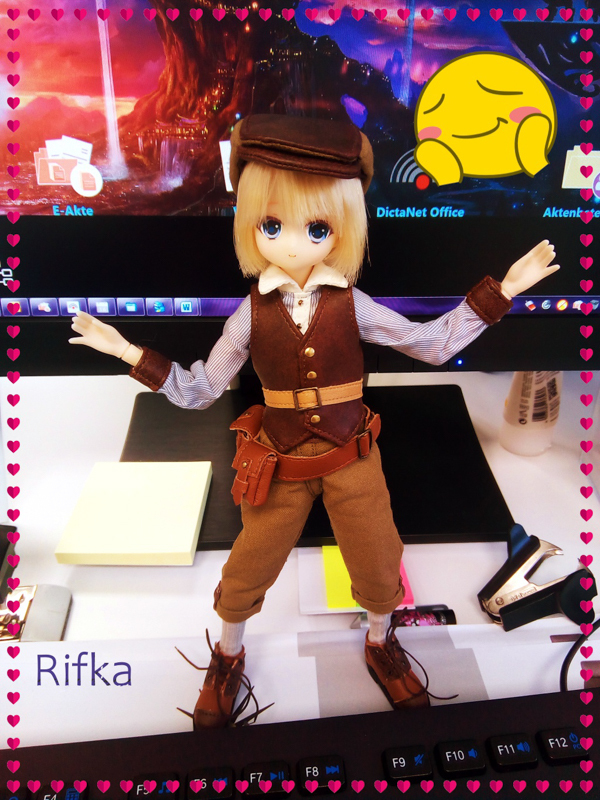 Pullip Stica is fully articulated so she can be posed in a number of ways. 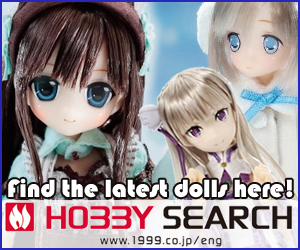 She comes with a doll stand, trading card and a biography that will tell you information such as her interests, personality traits and much more. Let this doll serve you by looking extremely adorable on any shelf containing your fashion doll collection.